Take Control of your Country! Ever wanted to run the country? Have you ever wanted to be president? or prime-minister? Convinced you could do a better job of running the country? Let's face it, you could hardly do a worse job than our current political leaders. 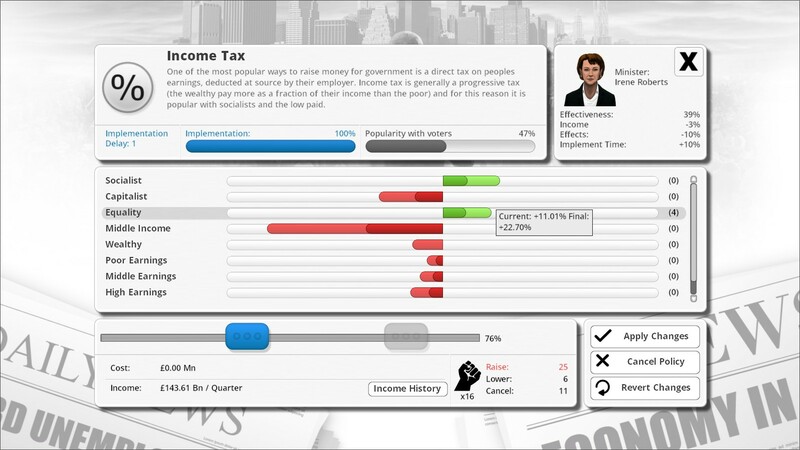 Democracy 3 simulates the motivations, loyalties and desires of everyone in the country. A custom-designed neural network is used to model individual voters, each which varying memberships of voting groups, political parties and pressure groups. Each voters income is modelled, along with their levels of complacency and cynicism. 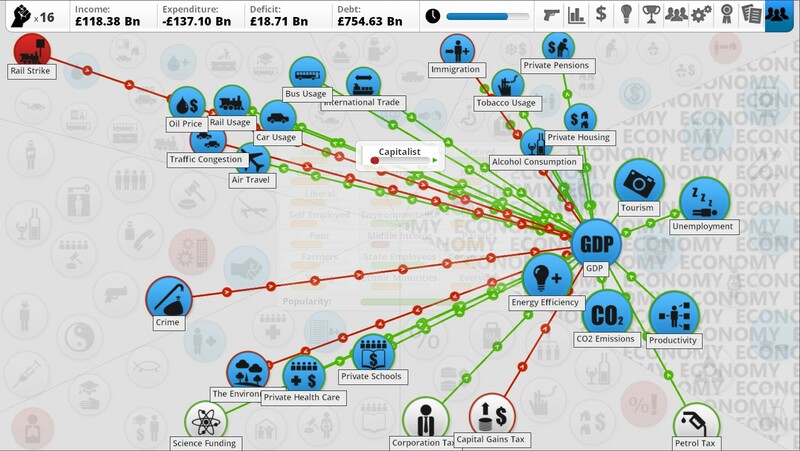 This is the most sophisticated political strategy game ever created. 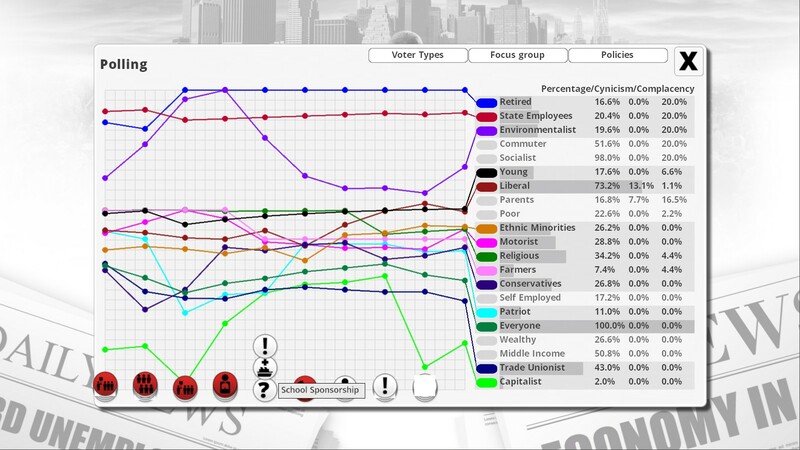 Join Democracy 3 on Facebook and join in the discussions, debates and polls! 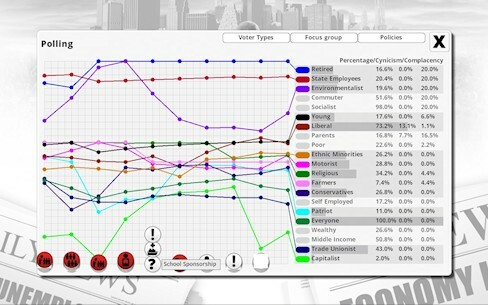 Each individual voter is a mixture of a subset of the 21 different voter groups represented within the game. 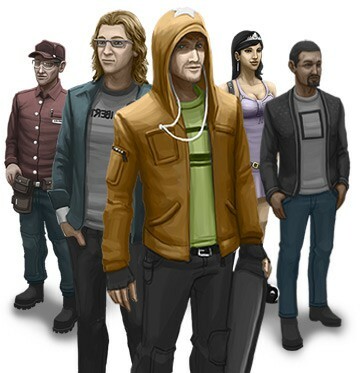 They might be a young, wealthy, liberal socialist commuter, or a retired conservative religious capitalist, for example. Not only this, but the extent to which they identify each of those groups is both variable, and can be affected by your policies in the long term. Convert your country to religion, or atheism, to capitalism, or socialism by careful and nuanced adjustment of your policies and laws over time. A 'focus group' feature lets you look at individual voters and see exactly how they came to a decision to vote for you (or not!). Each policy (or law) in the game has a slider which allows you to fine tune it's intensity to get the balance just right. 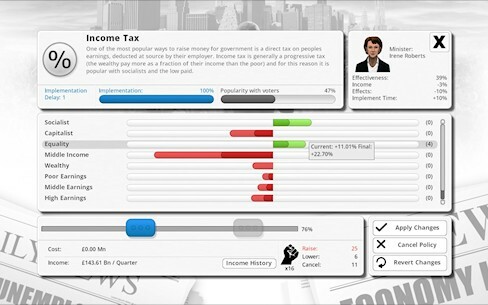 A series of equations within the game allows the same policy to have radically different effects on each voter group at different points in the slider, so some voters may be indifferent to a policy unless it reaches extreme levels, for example. Democracy 3 also models the global economy, including credit rating agencies and debt interest levels, as well as the impact of global events on your country.